SOCIAL spending is the biggest casualty of Spain’s latest raft of austerity measures, announced in the budget. As many as 43 new laws to reform the economy will be pushed through in the next six months in an effort to find €20 billion of savings, including measures to limit early retirement. Spain’s finance minister Luis de Guindos confirmed the gap between legal and actual retirement ages will be reduced as the pension system adapts to longer life-spans. The government will also take €3 billion from the pension reserve, with 60% of the savings expected to come from spending cuts. Spending at government ministries is to be slashed by 12.2% in order to save €4.3 billion, while public sector wages will be frozen for a third year. Debt servicing costs will be €38.6 billion in 2013, while tax increases will include a 20% gambling tariff. De Guindos insists the budget measures exceed EU expectations, and added that Spain will continue to analyse the conditions of the ECB bond buying programme before making a decision on a bailout request. Could we have more detail tomorrow please, I’m sure us ex pats will be affected by some of the measures. According to a Spanish daily only pensions, school grants and interest payments on government debt are due to rise. 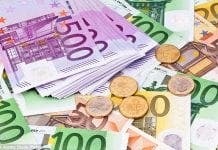 Spending at government ministries is to be slashed by 8.9 percent in order to save 3.883 billion euros, while wages of public sector workers will be frozen for the third year in a row. Last 25S we called to surround the Congress of the members of parliament to rescue it from the kidnapping of the popular sovereignty carried out by the Troika and the financial markets. An occupation executed with the consent and colaboration of most of the political parties. Besides the constant threats, the manipulation of the media and the intense campaign to inflict fear in the people, thousands of people attended the call and said loud and clear that we have no fear, that we are together in this and that we are not going to stop until they resign and a Constituent process is started. The answer of the Spanish government was based on hitting the demonstrators, using police infiltrators, arresting and hurting them with an outrageous violence as part of an amazing police deployment rarely seen in the past. The Government lost, however. The whole world has seen the TV images of its repression and harassment against the demonstrators, while the Spanish presidente, Mr. Rajoy´s speech at United Nations was extremely overshadowed due to our effective communication abilities. Right now there is an open debate about the legitimacy of the actions made during September-25, which roots deep inside the regular daily life- common people talk, debate, defend their ground. A great national conversation, involving the whole Spanish society, has begun, and this is the path we are willing to keep walking together. We continue to surround the Congress because we want to jump on in the social movilization and put that core in the recovery of the sovereignty and the citizen power, i.e., of the Democracy. In this year and a half we’ve learned to integrate, to think and to act collectively, striking up unforeseeable alligiances: tides of all colors taking the city; neighbours stopping evictions, civil servants closing off the streets… Now we know how to decipher complex economical and legal concepts, take care of ourselves and the others, comunicate better, administrate spaces and discussions on the net, on the squares and in our jobs; to laugh at the violent stupidity of the power, in front of which we resist instead of running. We have achieved to make the old struggling methods bigger, and we have carried out initiatives that we want to develop from the bases, without shortcuts, step by step. Because we believe that time for the decisions taken by a few is over, because in front of those who want to take our future away, we have the means and the collective intelligence to decide and build the society we want; because we don’t need false intermediates, but only collective resources and tools that actively fund the political participation of all the people in the common affairs. We continue to surround the Congress to say “no” to those who decide to tell us what to do, that we are going to disobey their unfair impositions, such as paying their debt, and that we are going to defend the colletive rights: housing, education, health, employment, democratic participation, the rent. To start a process that allows that those responsible of the crisis don’t go unpunished, the pyromaniacs that created our crisis not to be rewarded and take them to court instead. Neither the government of Zapatero, nor Rajoy’s have listened to us. Both have betrayed their own voters carrying out mesures that they promised they would never carry out. They don’t obey the citizens, they don’t have neither the courage nor the interest to do it. The government of Rajoy, therefore, doesn’t serve us and we demand their resignation. Today the national budgets for next year had been presented. Those budgets are the result of a constitution reform performed within PSOE and PP without the citizen’s opinion on it. The budgets dedicate more money to pay an odious debt than to the social needs that could help to a collective wayout of the crisis. Those budgets are a shame to the national sovereignty, to the democracy. That is why we have to stop them. We want to make a call to a new movilization for when the national budget is discussed in the Parliament. We want to be there again these days to say no, that ruling without asking the people first is over. Those days we saw that we can, if we organize ourselves, if we communicate, if we use our nets and gain confidence, calm and collective intelligence. That is why we make a proposal to you, to participate in the Coordinadora 25S, not only here in Madrid, but everywhere else, organize your own nodes in this network, do your own calls… They are taking away from us the very little that we still have left to defend. We have absolutely everything to build. you’ve just described not only Spain’s problems but the whole of Europe. On another post I said – is society a function of business or is business a function of society. The first clearly is an example of a Fascist state – the second is an example of a democratic state. When anglo-saxon capitalism fails as it did in 2008 they socialise their greed riven mistakes which in plain speak means – they screw up/the ordinary citizen pays but when they succeed in their greedy parasitic games they keep all the profits by transferring their loot to tax havens. tality to stay in control, they always have. I believe that the situation in Spain could be the catalyst for a real break with the past and indeed could act as touchpaper for the whole of Europe. For sure this lead will never come from the young Brits – too fat, too drunk and too frightened.